William Powell Mason Professor of Music. 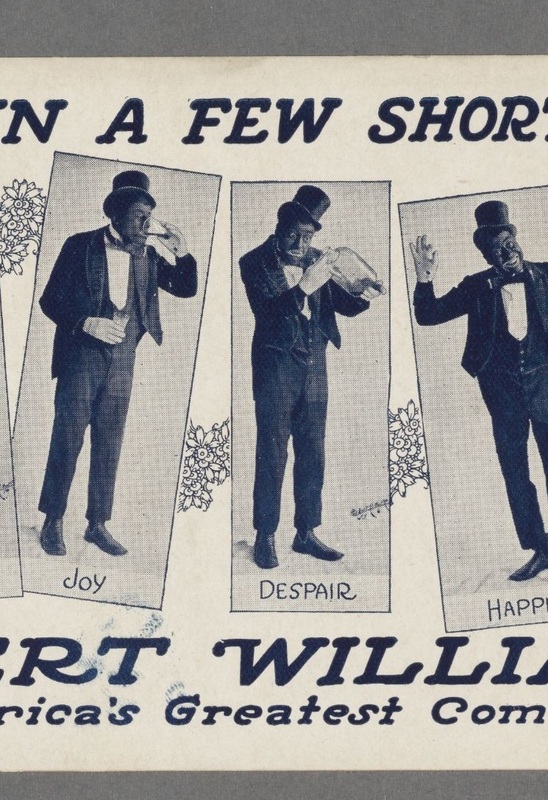 Billed as “America’s Greatest Comedian,” the African American performer Bert Williams (1874-1922) emerged out of minstrelsy to achieve extraordinary success on stage. His career was defined by Jim Crow segregation. Yet Williams disrupted racial barriers to headline otherwise all-white revues, starting with the famous Ziegfield Follies. He consistently put on blackface, a tradition of darkening the skin with burnt cork that was central to minstrelsy. In this advertisement for the Broadway Brevities, a revue that traveled from New York City to Boston’s Shubert Theatre, Williams appears in blackface with his characteristic top hat, tails, and white gloves. The series of photos poke fun at Prohibition, which had gone into effect in January 1920.